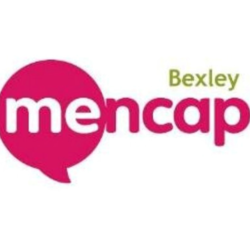 The above scheme that launched in Sidcup on Wednesday 3rd October is aimed at providing a temporary safe place for someone with a learning disability who is distressed or in danger until help and support arrive. The business displays a sign and the individual can then feel confident in entering knowing they will be assisted, they show their special card so that the business can contact a responsible person on their behalf. Over 20 Businesses in Sidcup have agreed to support this very good cause please look out for the signs on display. Sidcup Partners entered the London In Bloom Business Improvement category and were delighted to attend the Awards Ceremony in September at which we were presented a Bronze Award . We were told that for a first time entrant this was quite impressive. The award is not only for the planting but includes community involvement and environmental projects. A big thank you to all who baked or donated to our Macmillan coffee morning. Sidcup Partners raised £400.58 and if we include the other partners who did individual events Lab Salon, Kimmikass, Sweet Pea, Chunky Teapot and the Co op as well as Birchgrove and Suzie’s it is well over £1200. We would also like to thank Merton Court for their very generous donations of cake and Waitrose who also gave cake and a bottle of champagne for the star baker which was jointly won by Natalie Samsom and Harisson Lovegrove as the children’s star baker. All categories were judged by Councillor Richard Diment and his wife. Wednesday 31st October we will be holding a Halloween pumpkin Trail around the town centre. We would like children up to the age of 11 to dress up in spooky costume . The event will start at St Johns church at 4pm families can collect their trails then take a walk around the high street and station road looking for the Vinyl Pumpkin Stickers that will be on display in a variety of shops and each shop will hand out treats. We would then ask families to return to St Johns by 5.30 for the fancy dress competition to be judged and prizes given out and where tea and coffee and soft drinks will be provided. This year we invite you to join us for a Poppy Trail. Completed trails need to be returned to the library by Friday 9th November where a small gift can be collected with a completed booklet. Booklets will be available from Sidcup library from Monday 5th November with some additional booklets being delivered to local schools. It’s that wonderful time of year again and Sidcup Partners are holding a Christmas Extravaganza. With entertainment, children’s activities and a wide selection of Christmassy stalls food and drink. We are also showing two Christmas family favourites on the big screen. All inside our marquees to protect you from the weather. Sidcup Partners entered Sidcup into the Great British High Street Awards in the rising star category. We didn’t expect to be an overall winner as we appreciate that although we are making progress we still have lots to do. However we were very pleased to be informed that we had been deemed good enough to be given a special mention. Bring on next year’s awards! The Council is in the final stages of appointing an architect-led design team to work up a possible design for the site of the former Blockbuster shop on Sidcup High Street. The design team will develop designs for this site to enable a planning application to be submitted in 2019. In addition to formal consultation as part of the planning application process, there will be additional engagement with local residents and businesses throughout the design process. At the moment, before the design process has started, there is a comment box in Sidcup library to share ideas for the design of Sidcup’s new library. Residents, whether or not they are current library users, are invited to share their ideas. All comments will be read by the Library Service team and used to help them create the best possible design brief. If you have any news or offers that you would like to promote, please get in touch – the website is there to be used for the benefit of all BID levy payers.